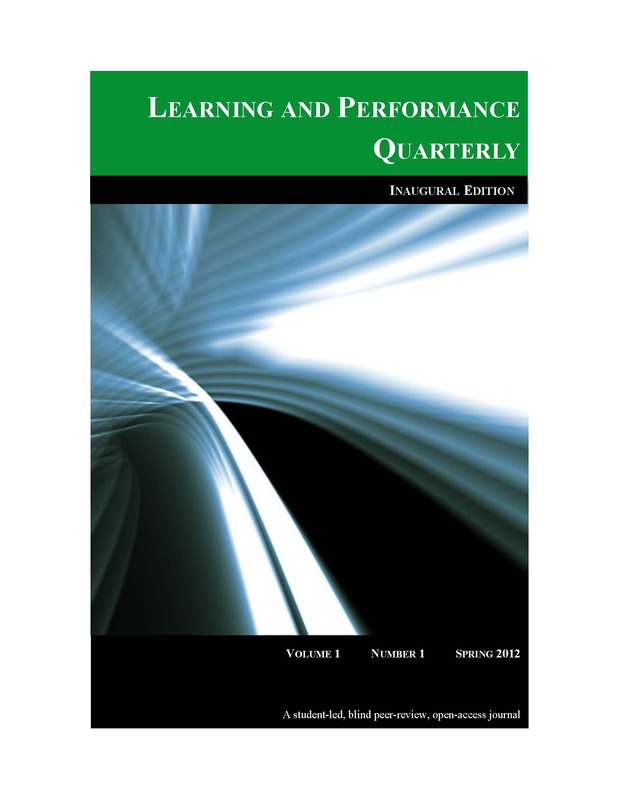 The Center for Knowledge Solutions at the Department of Learning Technologies, University of North Texas is proud to announce the first Call for Papers for the inaugural issue of the Learning and Performance Quarterly (LPQ) journal. The deadline for submissions is Friday, February 10, 2012. For detailed submission guidelines and instructions on how to make a submission, please visit Author Guidelines. Editors, Laura Pasquini and Dr. Jeff Allen, will gladly answer any questions or concerns regarding submissions via e-mail: LPquarterly@gmail.com. We look forward to receiving your submissions. Please share this announcement with other colleagues and researchers who might be interested in publishing for the Learning and Performance Quarterly. Thanks!